Spring is upon us and so are many pest looking to gain access into your home. Uninterrupted service is very important. Contact us for a free inspection for most pest and termite issues. You won’t stand for unwelcome critters in your home. But you don’t want toxic chemicals sprayed over your living room either. Discover a low-impact solution. 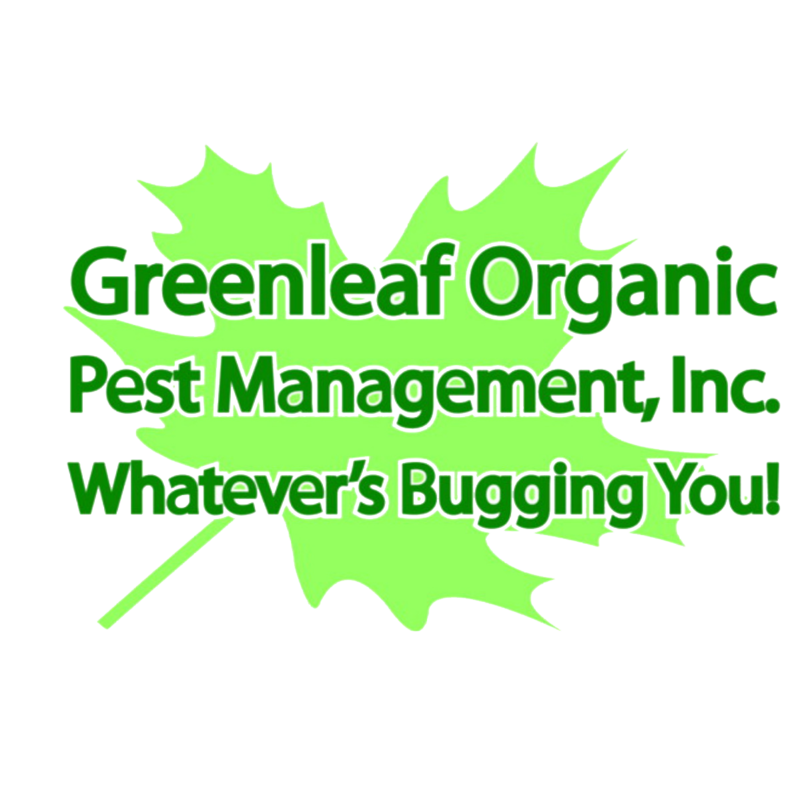 At Greenleaf Organic Pest Management, we offer low-impact products. 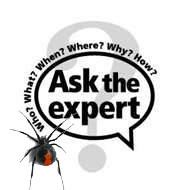 Instead of handling your pest problems yourself, hire our experienced team of integrated pest management specialists. We will perform a free, on-site inspection of your home, and then provide you with a thorough assessment of your pest problem and an estimate. Not sure what kind of pest you are dealing with? Shoot us an email with a desciption and image of the pest. We can then identify what it is and the best course of eradication. 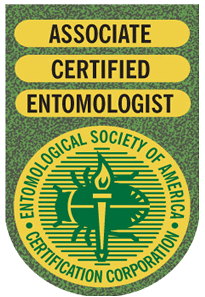 To learn more about our Pest Identification services, click here. Indoor pests like rodents, ants, cockroaches, and beetles represent health risks and can create structural damage within your home. Our team will eradicate your indoor pests, and then implement a long-term plan to prevent re-infestation. Our outdoor pest methods are similar. We locate the infestation, remove the pests, and prevent re-infestation. Our technicians can identify structural issues that can allow entry points for rodents and other nuisance animals, and provide options on repairs. When you contact our team to rid your home of pests, we use the least toxic products available as well as state of the art techniques. We believe that low-impact procedures are not only the most effective pest control methods; they remain the safest for your family and your home. 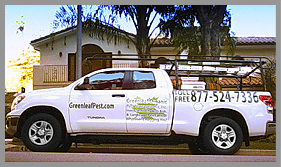 If you need to remove an infestation, schedule your pest control with Greenleaf Organic Pest Control Management. Call us at (877) 52-GREEN. IT'S IMPOSSIBLE FOR US TO GIVE FAIR AND ACCURATE QUOTES UNTIL WE HAVE MADE A THOROUGH INSPECTION. Regardless of the company you choose, or the method of treatment, Organic or not, we as an industry are required to identify a pest on the property requesting service. Once that takes place by one of our licensed technicians then a comprehensive inspection is made to determine what course of action is appropriate for your specific pest needs, then, and only then will a price be offered. In most cases the work can be done right then. Take advantage of our special INTERNET DISCOUNT! It is the initial service that provides the major pest control actions. If you pay the annual agreement in advance, you will receive 5% off the annual total * EFFECTIVE, YEAR-ROUND PEST CONTROL WITH MONTHLY OR BIMONTHLY SERVICE. RATES WILL BE DETERMINED AT TIME OF INSPECTION. We proudly serve North Hollywood, Burbank, Sherman Oaks, Glendale, Hollywood, Beverly Hills, Encino, Los Angeles, Pasadena, and surrounding areas. Show this offer to our field representative at the time of inspection. with POISONS, endangering their children, pets and the environment.